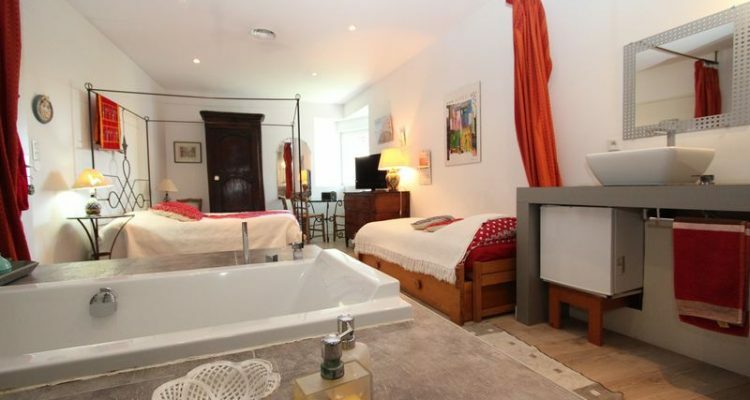 Very large bed and breakfast of 30 m2 with wrought iron canopy bed (160 king size bed). Attached bathroom with 2 sinks, an Italian shower and a huge bathtub embedded in a platform. Private toilets. 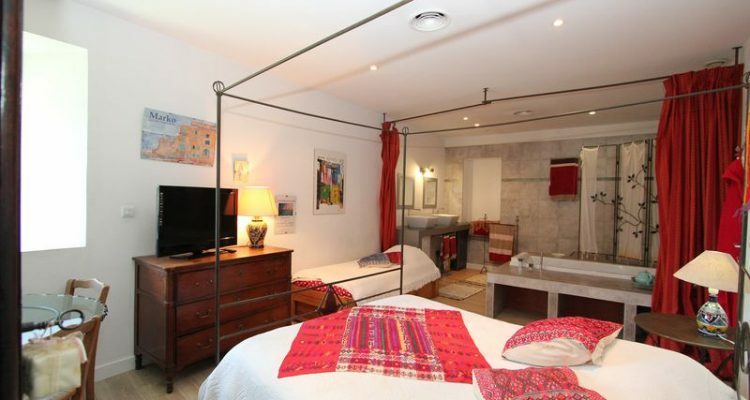 A sofa with 2 single beds (pull out beds) are in the bedroom (extra payment of 20 euros for 1 adult, 15 euros for a child). Enjoy the view over the garden and the sea through the trees, you also have a TV (flat screen) and wifi. A large table for 4 people, an antic dresser and cabinet, electric kettle, fridge, microwave, and hairdryer. Breakfasts are included and are served on the terrace facing the sea, or in the large dining room overlooking the sea.